In this retrospective, multicenter, real-world study we collected clinical and magnetic resonance imaging (MRI) data of all patients (n = 40) with relapsing-remitting multiple sclerosis (RRMS) treated with alemtuzumab according to a "free-of-charge" protocol available before the drug marketing approval in Italy. 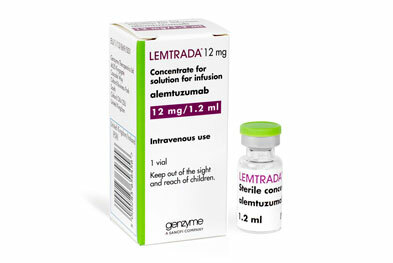 Almost all (39/40) started alemtuzumab after discontinuing multiple disease-modifying treatments (DMTs) because of either lack of response or safety concerns. We considered the proportion of alemtuzumab-treated patients who had no evidence of disease activity (NEDA-3) and disability improvement over a 36-month follow-up period. NEDA-3 was defined as absence of relapses, disability worsening, and MRI activity. Disability improvement was defined as a sustained reduction of ≥ 1-point in Expanded Disability Status Scale (EDSS) score. At follow-up, 18 (45%) patients achieved NEDA-3, 30 (75%) were relapse-free, 33 (82.5%) were EDSS worsening-free, and 25 (62.5%) were MRI activity-free. Eleven (27.5%) patients had a sustained disability improvement. We found no predictor for the NEDA-3 status, while the interaction of higher EDSS score by higher number of pre-alemtuzumab relapses was associated with a greater chance of disability improvement (odds ratio 1.10, p = 0.049). Our study provides real-world evidence that alemtuzumab can promote clinical and MRI disease remission, as well as disability improvement, in a significant proportion of patients with RRMS despite prior multiple DMT failures. The drug safety profile was consistent with data available from clinical trials.